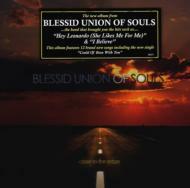 Blessid Union of Souls is set to put their reputation on the line with a brand new studio album, CLOSE TO THE EDGE. Fans can be assured that they have not abandoned the song writing integrity that helped establish them as one of the premier bands. With a humble, no rock star attitude, radio friendly songs and an absolute love for their fans, Blessid Union of Souls is truly a vintage pop rock band: and they're back!